Designed to streamline exchanges between you engineering and ERP systems, Made to Manage features an innovative CADLink interface that simplifies product development. Design engineers can create and access ERP data directly from most popular CAD applications, quickly find and access what they need and stay up-to-date and synchronized, saving time and eliminated the headaches caused by disparate systems. 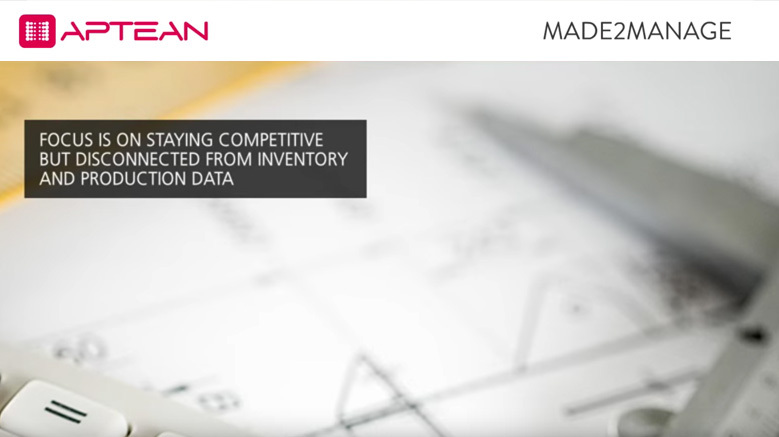 Let's take a closer look, to improve efficiency and streamline the product development process, CADLink puts inventory and production data within easy reach. Because CADLink is automatically added to the toolbar of CAD applications such as Solid works and Autodesk, the flexible interface can be launched with a simple click of a button, allowing engineers to create or update stander sales, quote, or jobs bills of materials within Made to Manage. Once launched, CADLink automatically analyzes the CAD models bills of materials and compares it to the bills of materials in Made to Manage. The highly visible color coding allows engineers to focused their attention on new items and insure all information is corrected. If there are any items missing from newly designed parts, subassemblies, and finished goods, CADLink will immediately identify them and help users add them by creating new item master records. Engineers can then take advantage of the prefigured templates to rapidly populate new item masters without wasting time on duplicate data entry. To insure accuracy, data is pulled directly from Made to Manage including product classes, units of measure, and more. With one click, engineers are able to synchronize bill of materials of information between CAD application and Made to Manage insuring the information display in drawings always matches the ERP system data. In Made to Manage you can see that the new item master contains all relevant information with the current and comprehensive bill of materials. As the design changes, the CADLink application insures quantities are automatically updated in Made to Manage and vice versa. Built to streamline the product development process, CADLink's integrated interface provides engineers with all the functionality they need to automate new part creation and bill of material updates, ensuring that both your ERP database and your CAD models are synchronized and up to date. To learn more about Made to Manage CADLink functionality, please contact us today.